Sleek N-1 Starfighters and Vulture Droids scream overhead spewing light and fire. Nimble AT-RT Walkers race around corners, pursued by roaring AATs. Agile Clone Jumptroopers hop from rooftop to rooftop, while rampaging B2 Super Battle Droids level everything in their path. Armies of Clones and Droids sprint across cover, their blazing weapons shattering the tranquility of the once-peaceful capital of Naboo. And at the center of the swirling melee the lightsabers and Darth Maul and Rey cut swaths through the ranks of the battling troopers. Going hands-on before the EA PLAY doors open will be a mix of your favorite Star Wars Battlefront II Game Changers, YouTube stars, Twitch streamers, and more. From JackFrags to Darkness429, we’re bringing some of the biggest names in gaming together to fight it out on the streets of Theed. They’ll be forming two teams of 20, led by StoneMountain64 and Neebs Gaming, to play the game in front of the world for the first time. No pressure, right? Oh, and we’re saving you a seat, too. 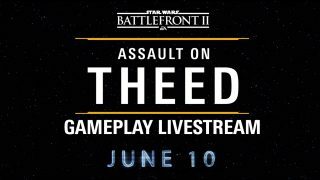 Jump on Twitter and tell @EAStarWars why you love to play Star Wars ™ games and you might win a chance to fly out to EA PLAY and join the Assault on Theed Livestream. Make sure to include the #EAStarWarsSweepstakes hashtag in your tweet. Seriously. See the official rules below. Keep an eye on our Twitter, Instagram, and Facebook feeds to see the roster reveals as they happen, and put a big circle around June 10 on your calendar. NO PURCHASE NECESSARY. A PURCHASE DOES NOT INCREASE YOUR CHANCE OF WINNING. VOID IN FLORIDA, NEW YORK, QUEBEC AND WHERE PROHIBITED. This Sweepstakes is sponsored by Electronic Arts Inc. (“EA” or “Sponsor”), 209 Redwood Shores Parkway, Redwood City, CA 94065. 1. Entry. You will need a Twitter account to participate in the Assault on Theed Sweepstakes (the “Sweepstakes”). If you do not already have a Twitter account, you can visit www.twitter.com to create one for free. (3) Tweet about why you love to play Star Wars™ games and include the hashtag #EAStarWarsSweepstakes at the beginning (collectively, an “Entry” or “Entries”) on Twitter as directed between June 1, 2017 at 9:00am Pacific Time (“PT”) and June 3, 2017 11:59pm PT (the “Sweepstakes Period”). Tweets without the hashtag will not be considered eligible Entries. By uploading your Entry, you agree that it conforms to the Entry Guidelines and Content Restrictions as defined below (collectively, the “Guidelines and Restrictions”) and that Sponsor, may disqualify you from the Sweepstakes if it believes, in its sole discretion that your Entry fails to conform to the Guidelines and Restrictions. Guidelines and Restrictions: By entering, Entrants warrant that their Entries contain only their own, original creations. Entrants further warrant their Entries do not contain any third party copyrighted materials, and otherwise do not violate or infringe the rights, including, without limitation, copyrights, trademark rights or rights of publicity/privacy, of any third party. Entries must not incorporate the facial likeness or name of the Entrant or any other person. Entries must not have been submitted in other contests or been previously published. Entries must be suitable for publication and appropriate for audiences at least 13 years of age. Entries must not contain any racial, religious or ethnic slurs, explicit language, obscene, pornographic, violent, or sexual content, libel, hate speech, reference to alcohol, drugs or other illicit substances or otherwise unlawful, inappropriate, objectionable, offensive or illicit content, as determined by Sponsor in its sole discretion. Sponsor, in its sole discretion, reserves the right to disqualify any Entry that does not follow these requirements and/or incorporates prohibited content. Disqualified entries will not be eligible to win any prize. Alternately, you may enter by sending an email during the Sweepstakes Period to eastarwarssocial@ea.com with the subject line “Assault on Theed Sweepstakes.” Include your first and last name, date of birth, and home address in the email. No other methods of entry will be accepted. Limit: only one entry per person, email address and/or household will be accepted. All electronic entries must be received by 11:59pm PT on June 3, 2017. Entries become the property of Sponsor and will not be returned. Use of a false email account or an incorrect mail address will disqualify an entry. Sponsor is not responsible for technical, hardware or software malfunctions, lost or unavailable network connections, or failed, incorrect, inaccurate, incomplete, lost, late, misdirected, illegible, mutilated, postage-due, garbled or delayed entries or other communications or other technical problems related to website entries. Sponsor, in its sole discretion, reserves the right to disqualify any person who tampers with the entry process or the operation of the Site, or who otherwise violates these rules. By entering, entrants accept and agree to abide by the terms of these Official Rules. Limit: Only one Entry per Twitter username and/or email address will be accepted. 2. Eligibility. This Sweepstakes is only open to residents of the 50 United States (except Florida and New York) and the District of Columbia and Canada (except Quebec) who are 18 years of age or older at time Sweepstakes begins and who had Internet access as of May 25, 2017. Residents of Florida, New York and Quebec are not eligible. Employees of EA and its affiliates, subsidiaries, representatives, advertising, promotion and publicity agencies (“Sponsor and its Agents”) and the immediate family members and persons living in the same household of each are not eligible. Sweepstakes is void where prohibited, restricted or taxed by law. All federal, state and local laws and regulations apply. 3. Prizes; Winner Selection and Notification. There are one (1) prize. Odds of winning any prize depend upon the number of eligible Entries in the Sweepstakes. One (1) Winner will win a prize trip to the Assault on Theed Star Wars™ Battlefront™ II reveal at the Hollywood Palladium in Los Angeles, CA. Prize trip includes roundtrip, economy/coach class airfare for Winner from the major commercial airport nearest the Winner’s residence; hotel accommodations for 3 days/2 nights (one (1) double occupancy room) at a hotel of Sponsor’s choosing; ground transportation between hotel and event venue and $500 spending money via a VISA gift card (terms and conditions apply to the gift card). Incidentals, including, without limitation: telephone calls, facsimile charges, Internet charges, Spa/beauty salon services, laundry, tours/excursions, gift shop purchases, hotel processing fees and airline service charges, are the sole responsibility of the Winner. Hotel and airfare cannot be used separately. Winner must notify Sponsor of intended dates of travel by no later than three (3) days prior to the intended date of departure. Winner must be able to travel June 9-11, 2017. All travel must be completed by June 11, 2017 or Prize will be forfeited in its entirety. Travel and accommodations are subject to availability and certain restrictions, so Sponsor cannot guarantee prize trip will be available on the exact dates specified by Winner. Any extra nights’ stay and any additional costs associated with an extended stay are the sole responsibility of the Winner. Valid Passport and/or other travel documentation may be required. Additional restrictions may apply. The approximate retail value of the Prize is $5000. Actual value of Prize Trip may vary depending on Winner’s residence and seasonal rates. Prizes are not transferable. No substitution of Prize for cash or other goods and services is permitted, except Sponsor reserves the right to provide a substitute Prize of approximately equal value if the advertised prize is unavailable. All expenses not specified above, including, without limitation, all federal, state and local taxes, and international tariffs, are the sole responsibility of the individual Winner. Potential winner will be determined by random drawing on or about June 4, 2017 from all eligible Entries received. The drawing will be conducted at Sponsor’s address as indicated at the beginning of these rules by Sponsor or its designee, the judge of the Sweepstakes, whose decisions are final and binding. Potential winner will be required to complete and sign a Declaration of Eligibility and, except where prohibited, Liability/Publicity Release, in the form provided by Sponsor, within two (2) days of attempted notification in order to claim prize. Canadian winners must also answer a skill-based question in order to claim prize. Potential winner will be notified on or about June 4, 2017 by Twitter Direct Message sent to the Twitter account or email address from the Entry. If a potential winner cannot be contacted at this email address, is contacted and does not respond as directed within 2 days of attempted notification, fails to sign and/or return the Declaration of Eligibility, refuses the prize, is ineligible to accept the prize, or prize is returned as undeliverable, the potential winner forfeits the prize. If a winner is 18 or older, as required, but a minor in his or her state, country or providence of residence, winner’s parent or legal guardian will be required to sign all necessary documents. Receiving a prize is contingent upon compliance with these Official Rules; all prizes claimed in accordance with these Official Rules will be awarded. In the event that a potential winner is disqualified or the prize is forfeited for any reason, Sponsor will award the applicable prize, time permitting given the nature of the prize, to an alternate winner by random drawing from all remaining eligible Entries. Only three (3) alternate drawings will be held, after which EA retains the discretion to donate the applicable prize to a charity of Sponsor choosing. Potential winner may be required to provide a shipping address to claim prize. 4. General Conditions. By participating in this Sweepstakes, Entrants assume sole liability for and agree to indemnify and hold Sponsor, their affiliates, officers, directors, employees and agents, harmless from and against any and all claims, damages, obligations, losses, injuries, costs or debt, and expenses (including but not limited to attorney’s fees) claimed to be caused from participating in this Sweepstakes or the acceptance, possession, shipping and handling, loss, use or misuse of any prize awarded. Sponsor reserves the right to cancel, suspend and/or modify the Sweepstakes, or any part of it, if any fraud, technical failures, computer virus, bug, tampering, or any other factor impairs the integrity or proper functioning of the Sweepstakes, as determined by Sponsor in its sole discretion. Sponsor has the right to select winners from eligible Entries at any time before the termination of the Sweepstakes. If terminated Sponsor may, in its sole discretion, determine the winners from among all non-suspect, eligible Entries received up to time of such action. By participating in this Sweepstakes, Entrants agree to be bound by these Official Rules and the decisions of the judges and to be contacted by Sponsor or its agents by telephone, mail and/or email regarding this Sweepstakes. If there is a dispute regarding the identity of an Entrant, the Entry will be deemed submitted by the person in whose name the email account is registered. The Sweepstakes is governed by the laws of the United States and all claims must be resolved in the United States. Except where prohibited by law, Entrant agrees that Sponsor and/or its Agents, have the right to use the Entrant’s first and/or last name, user or screen name and hometown on Sponsor’s and/or Agents respective websites and in any and all media, including in connection with marketing and promotion of Sponsor’s products or services, without any further attribution, notification or compensation to Entrants. Sponsor shall have no obligation (express or implied) to use any of the Entries, including the winning Entries and Entrants shall not be entitled to any damages or other relief by reason of Sponsor’s use or non-use of any entry. 5. Winners list. 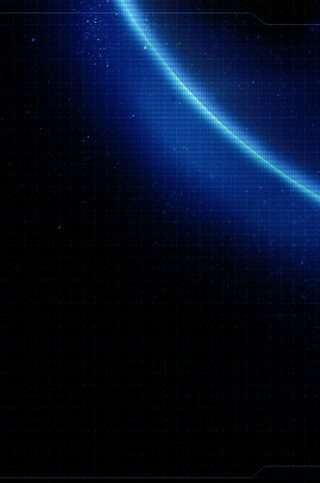 A winners list will be available at www.starwars.ea.com after winner is determined, verified and posted for approximately two weeks.